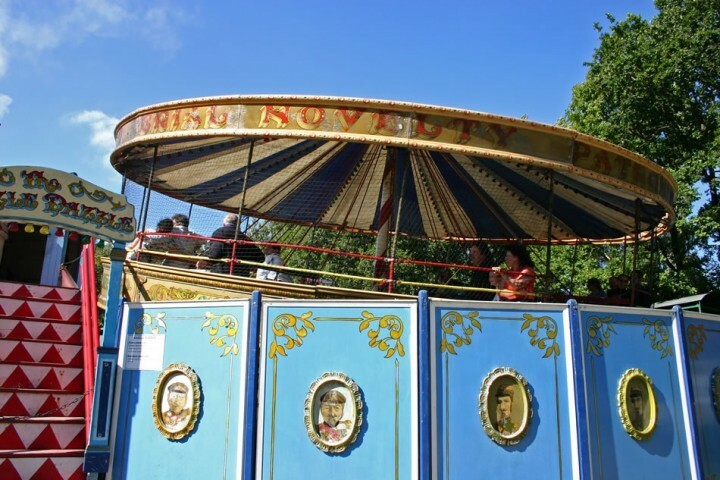 Regarded as the first 'white knuckle' ride, this is one of the earliest rides to use rotational and tilting motion. 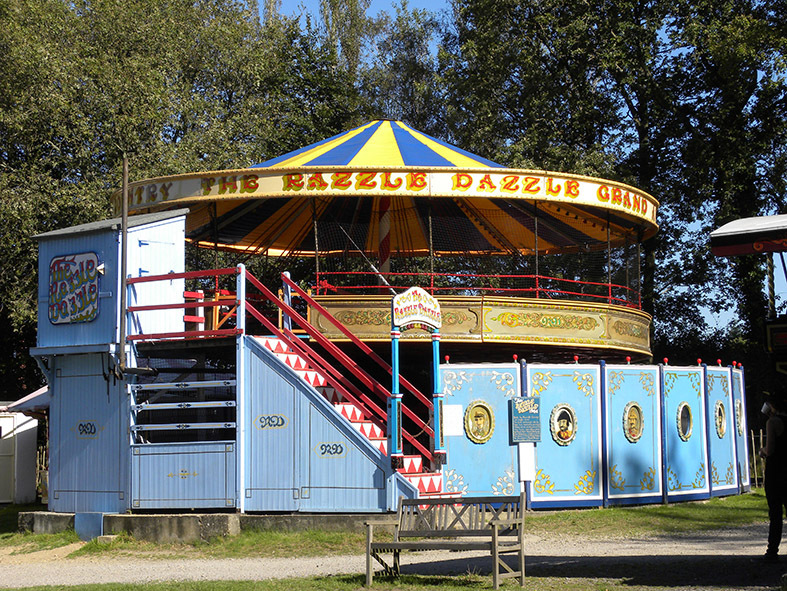 Built by the Howcroft Carriage & Wagon Works around 1906, the Razzle Dazzle is regarded as the world's first 'white knuckle' ride. 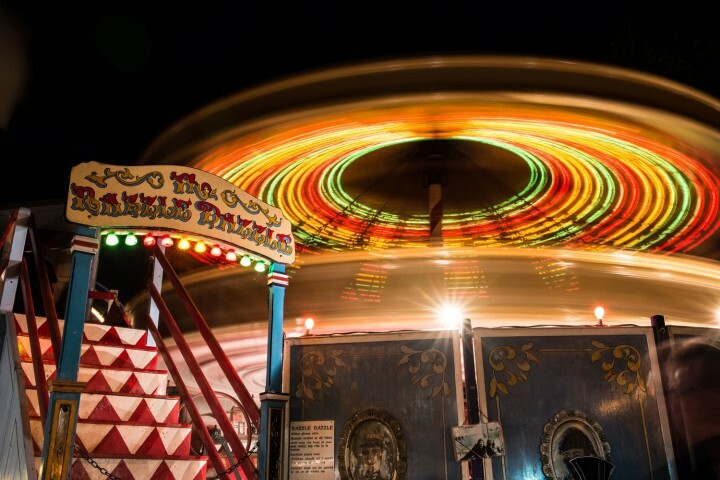 It is the earliest ride to use both rotational and tilting motion and it was from this that many of the modern rides were developed. Hollycombe's Razzle Dazzle is the world's only surviving example. Being constructed in 16 sections, rather than the usual 12, and with most of these above head height, it is one of the hardest rides at Hollycombe to assemble. Showmen referred to the Razzle Dazzle as a 'oncer' – people used to ride it… but only once! Perhaps because of this, the ride was always rare.